Dogs give us so much unconditional love. Now is the time to give back and spoil them rotten! Check out our top 10 new products for pampering your dog. From treats to toys, these are the best new dog products. 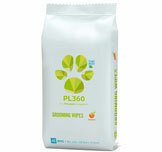 These must-have pet supplies will keep your dog happy and healthy. Dogs love jerky treats, but finding a treat that is both delectable and safe for your pup can be next to impossible. 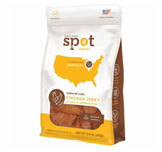 Unlike many jerky treats on the market, Spot Farms uses only farm-raised poultry and is made here in the USA from start to finish. These treats are available in a variety of flavors and formulas to provide the perfect snack for your pooch. 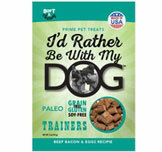 Try them for your dog today! Pampering your dog involves keeping them nice and clean, especially their teeth. Brushing your dog’s teeth is essential, but doing so daily can prove a difficult endeavor. 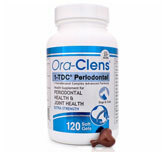 Make it easy to care for your dog’s teeth with this proven clinical solution to combating plaque. These capsules can be squeezed onto your pet’s teeth and gums to keep them healthy and also features a delectable taste that will have them excited to stay healthy! Older pets need pampering, too. Since these same senior dogs need joint support, why not combine your efforts with a supplement that enhances the functions of joint and connective tissue through a palatable soft chew that your pup will love. 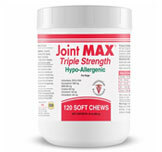 Joint Max Triple Strength is a beloved formula that has been keeping dogs healthy for years, but it’s now available in a hypo-allergenic soft chew to offer the same great support to dogs with sensitive stomachs. Pampering your pup is best accomplished with a meal that is as nutritious as it is delicious; this means providing a diet that is full of fresh and wholesome ingredients. Rather than rely on standard dog dry dog foods or even canned wet foods, Dr. Harvey’s Pre-Mixes provides a nutritionally complete meal in a matter of minutes. 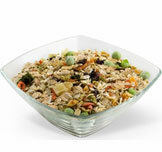 Each mix includes organic grains and vegetables that are designed to accommodate your dog’s exact nutritional needs. Make your pooch feel like a princess by preparing her palace with these dog-friendly pheromones. 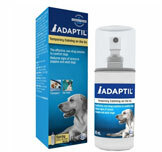 Adaptil Spray uses the same synthetic pheromones as the Adaptil diffusers in an easy to use aerosol spray can that allows you to apply it to specific areas of your home, or to keep your canine comfortable on the road. This portable calming solution is ideal for trips to the vet or any travel in which your canine is confined to their kennel or carrier. Nothing says pampered pooch like a soft and shiny coat. 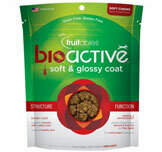 Provide the omega fatty acids and antioxidants that give a coat that lustrous sheen with these palatable soft chews. Each chew combines wholesome ingredients such as sweet potato, kale, and blueberries to support a soft and glossy coat. What’s more is that each treat is free of fillers like grain and gluten and contains only ingredients sourced here in the USA. Keeping your pet’s skin and coat pristine is an excellent way to express your affection. In addition to supporting a soft and silky coat, you can also ensure that their fur remains free of dirt, debris, and the odors they cause with these hypoallergenic grooming wipes. Each wipe is treated with a special formula that conditions and moisturizes your pet’s skin and coat and works without the use of bleach, parabens, toxins, lanolin or alcohol. Even the most proper pet enjoys a good romp once in a while. 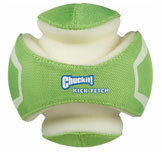 Show your dog you care and engage in a good session of kickball with this intriguing fetch toy. The balls large size makes it easy to kick, affording you the energy to play for longer periods, while its unique grooves make it easy for your pooch to pick up. The ball also features a glow-in-the-dark exterior so you can keep your canine company even after the sun sets. 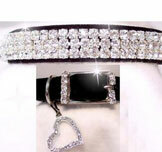 Afford your adorable furry friend the luxury they deserve with this truly lavish rhinestone collar. Your pet only receives a new collar once in a blue moon, so why settle for any less than the absolute best? These decadent bands are composed of voluptuous velvet adorned with rows of sparkling clear stones. Each collar also comes with a beautiful rhinestone heart and a matching rhinestone buckle to ensure that your dog looks absolutely dapper. Provide your pooch with the trendiest of treats with these paleo training treats that are formulated with some of the most mouth-watering proteins you can imagine. Each treat is made in the USA to ensure that they are made to meet a premium standard of excellence that you simply won’t find elsewhere. Don’t settle for treats that feature grain, gluten or soy fillers- deliver the diet your canine craves with I’d Rather Be With My Dog today!